I am coming to you real and raw today. I've had something on my mind this past week and just needed to get it out. So here we go! One thing that I don't do very well is handle stress. I know this about myself and have made soooo many attempts to change this but then I go right back to my perfectionist/ need-it-to-be-a-certain-way tendencies. Why can't I focus on self care and do what I know is the BEST for myself? Why can't I focus that perfectionist tendency into helping me to be less stressed? It seems that this is the one area that my mind doesn't let me obsess over, or maybe I actually am obsessed over it ha?! Yep, staying up late to find the next best tech tool for my class will definitely be the thing that makes this school year better. My life needs to look a certain way because otherwise people won't like me. I need to stay after school to work on these lesson plans because that will make everything run smoothly. I'll work out tomorrow because x, y, and z are more important today. Taking time to rest when the house is a mess is lazy. I don't work hard enough, therefore that's why I am not where I want to be. Or how about this one, I can't have a "balanced life" because things will start to crumble. Am I the only one that has this kind of self talk? I know I can't be but we really don't say this stuff out loud enough. Thanks to social media we get to see the highlight reel of everyone's lives which is totally 100% accurate picture of what it's really like, right??? No! lol but still I manage to look at this stuff and feel like crap. I think okay, I'm not working hard enough or putting in enough effort into this area. This work harder, push harder, be better mentality is an addiction that I didn't realize I even had. Sure, do I want to be the best possible teacher I can be? Yes, I do! Do I want to advance in Rodan+ Fields and hit big goals?? Yep, take my name down for that goal too. The question is when did I stop caring about my emotional well being and focus on everything else first? I seriously don't know when this happened. Now, don't get me wrong, I am not saying that striving to be your best is bad. I think having goals is an incredible motivator and who wants to be mediocre?? I think sometimes most of the time I choose things like working harder over things like getting enough sleep, working out regularly, and filling my time with things that bring me joy, etc. Now I know there are those of you who are killing it in every area and I applaud you. That's awesome that you have figured out how to manage stress and balance life, I'm just not there yet. This is something I REALLY have to work at and think about on a daily basis. So what am I doing to destress? I am giving myself permission to actually sit down when I get home and not start doing a bunch of stuff. I blame this habit on my mom. :) She never sits down and is always cleaning, cooking, folding something, etc. She is a woman on the go! Growing up, our house always looked great, there were home cooked meals, laundry done each week, and she was a full time teacher. I seriously don't know how she did it. I do think it caused her a lot of stress though and it has taken her years to put that energy into herself. Now she recognizes the importance of self-care and uses pilates as her outlet. I wish I had her dedication! I am trying to be less critical of myself when things don't go as planned and just to realize that tomorrow is another day. I am trying to leave school at a decent time and remember that I need to have a work/ life balance. I have even committed myself to 31 days of physical activity whether that's at the gym or at my house. I will get some kind of workout in! I am hoping this will become a new habit. So here is me making a commitment to myself to work on self-care and to not put myself last on the list of things that need attention. I especially need to remember this today because it was a doozy. Tomorrow is a new day though. 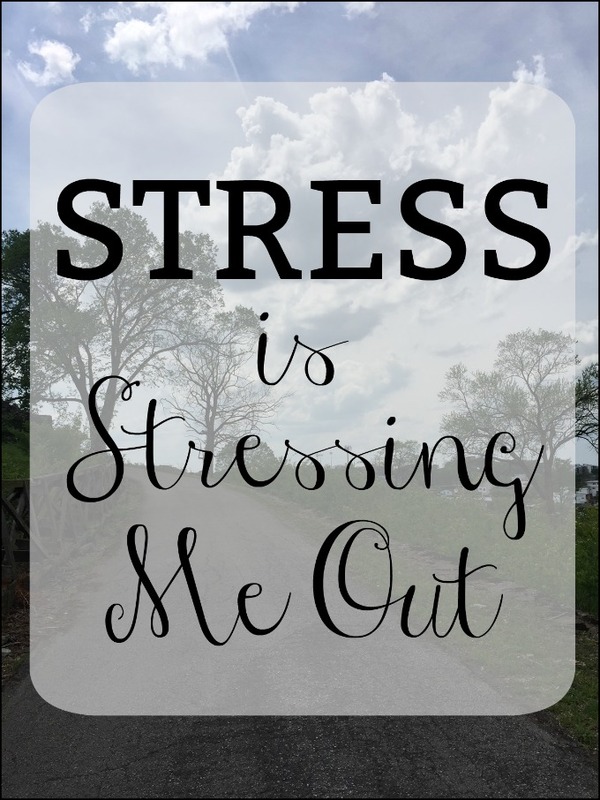 How can you tweak things in your life so stress doesn't consume you?